Trigger Warning: Homophobia, Racism, ADHD, Anxiety. 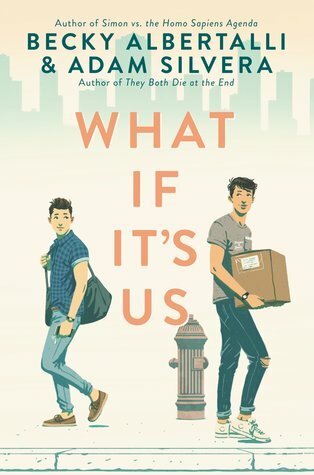 Arthur, who stays in New York for the summer, meets a guy with a box one day at the post office and they instantly hit it off. The thing is, after a surprise flash mob, the guy dissappears and Arthur is left alone without any contact details of him. Not even his name. 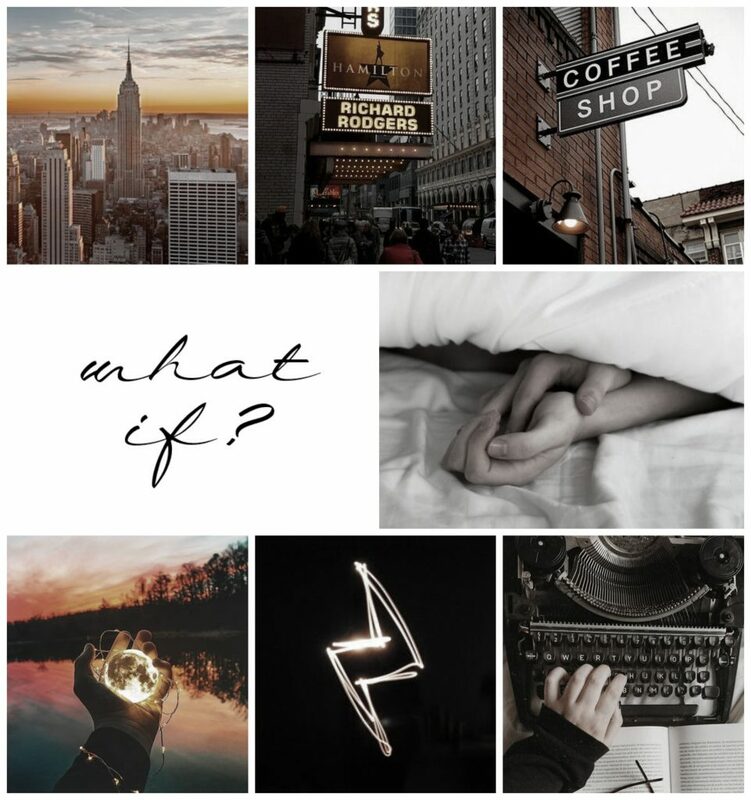 Believing that there’s a reason why the universe nudges their paths together, Arthur starts to look for the box guy aka his potential future first boyfriend. Ben is in summer school and just got out of a messy break-up. His mission for the day is to mail a box full of his ex’s things but for some reasons he couldn’t. He bumps into this cute guy and gets to talk to him until he eventually lost him. At least he knows his name. He starts his search for him but the universe is not cooperating. I’ll start with the things I enjoyed in this book and one of them is the diverse cast of characters. Ben is Jewish and has ADHD. Ben is Puerto Rican. Oh, and they’re both gays. I also liked the family and friendship dynamics. Arthur and Ben both have very supportive and amazing parents. They both have incredible best friends especially Ben. Dylan, Ben’s bff, was definitely my favorite character in this book. He’s hilarious! I also loved the setting. I liked all the small details about New York that were mentioned. I have never been to NY but reading this book felt like I was transported there. Arthur and Ben are both complex characters and their romance is messy just like in real life. It’s easy to love and hate them at the same time. That’s how I felt while reading this book. At some point, I got so mad with one of them that I had to stop and put my copy down and calm myself. Then I picked it back up because I wanted to know how everything will work out for them. It’s like I hated them but still, I cared about them. A lot of you will probably hate the ending but I personally liked it. It’s very realistic and I think it worked out perfectly with the story. Now let’s go to the things that didn’t really work out for me. This book was written in dual perspectives which I’m all for. Albertalli wrote Arthur’s POV and Silvera wrote Ben’s. But I had to admit that most of the time, it’s hard for me to identify whose chapter I was reading. I had to rely on the side characters that were mentioned or check the chapter title. There were funny moments that made me laugh and touching scenes that made my heart melt. But there were too much cheesy moments and drama. There were also too much fandoms and pop culture references which in my opinion was overwhelming but not in a good way. F I N A L V E R D I C T : I admire Becky Albertalli and she was actually the reason why I was excited to read this book. Adam Silvera’s books are still on my tbr list. And honestly, I wasn’t surprised even a bit about the movie adaptation announcement. Even though I gave this book a 3-star rating, I still recommend it. Who doesn’t want a book with a good representation? 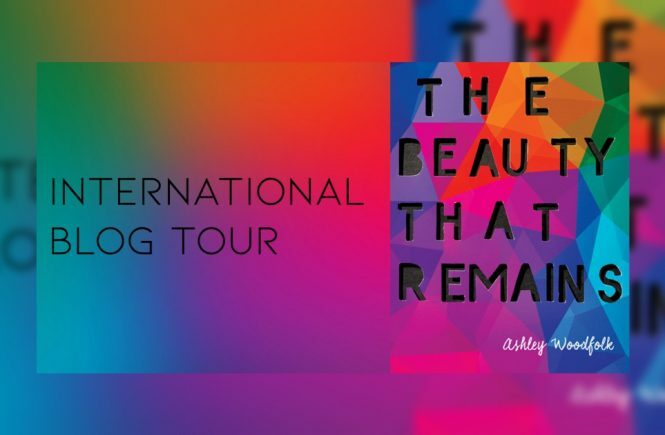 Read this especially if you’re in the mood for a fluffy summer queer romance. 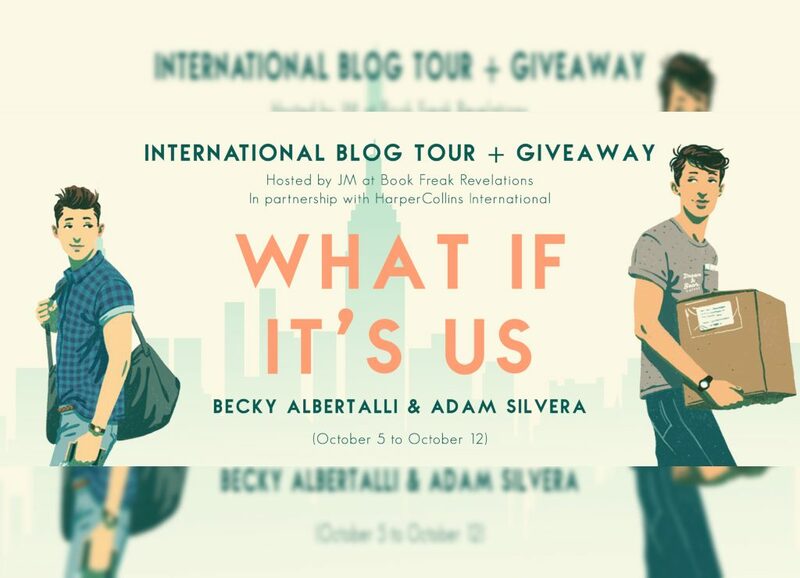 ALSO, you can get a chance to win a finished copy of What If It’s Us! 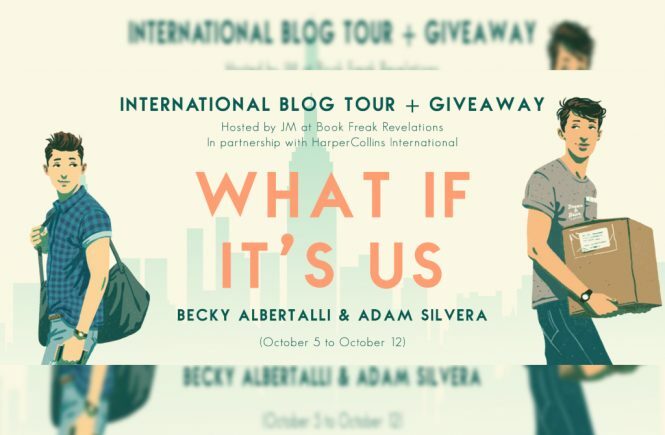 *Huge thanks to HarperCollins International and JM (of Book Freak Revelations) for having me in this international blog tour and for providing me an e-arc of What If It’s Us. This does not affect my opinion of the book or the content of my review. I’m so excited to read this book! I’m a bit sad it turned out to be “only” a three star read for you, to be honest, haha.